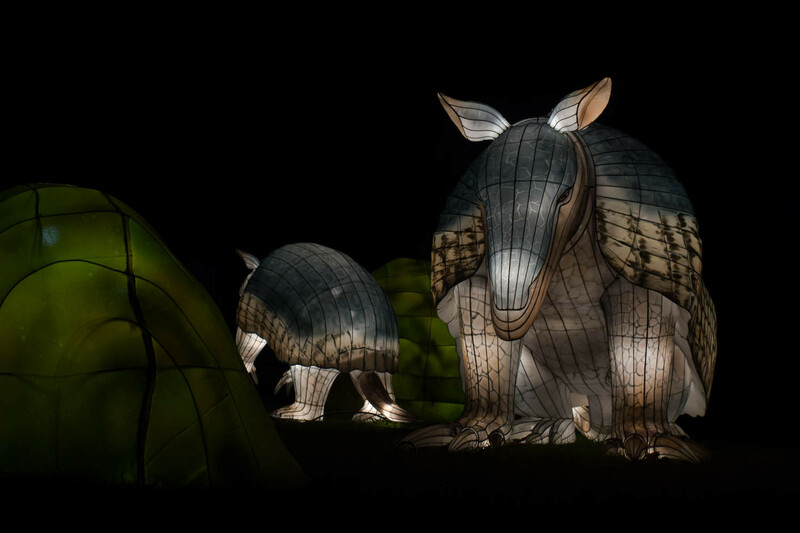 Last night was the opening night for the Giant Lanterns at Edinburgh Zoo and what a spectacle it is! As we walked around the trail within the zoo grounds the air was filled with “ooo’s” and “ahhhhh’s” as people discovered something new around the next corner. 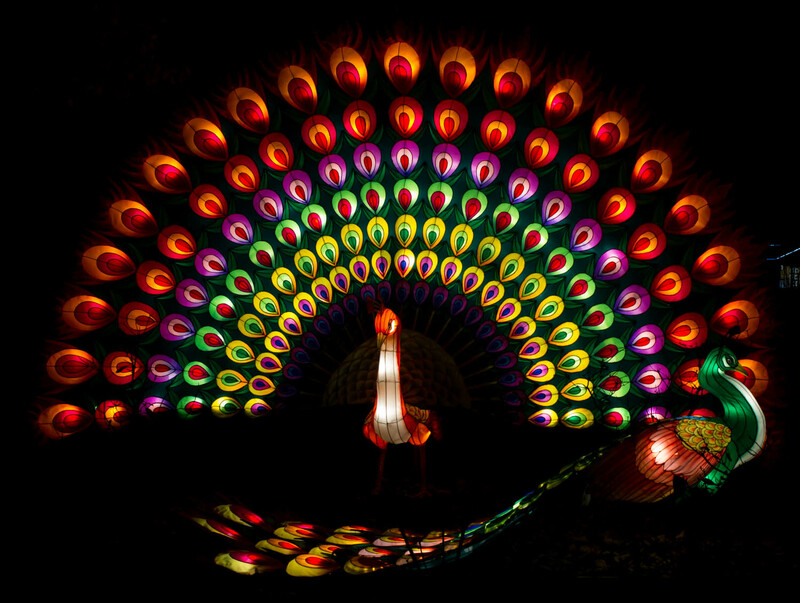 And there really is something special around each and every corner, as you’d expect with a display of over 450 lanterns. What struck me first was the intricate detail, like works of art, we could see. 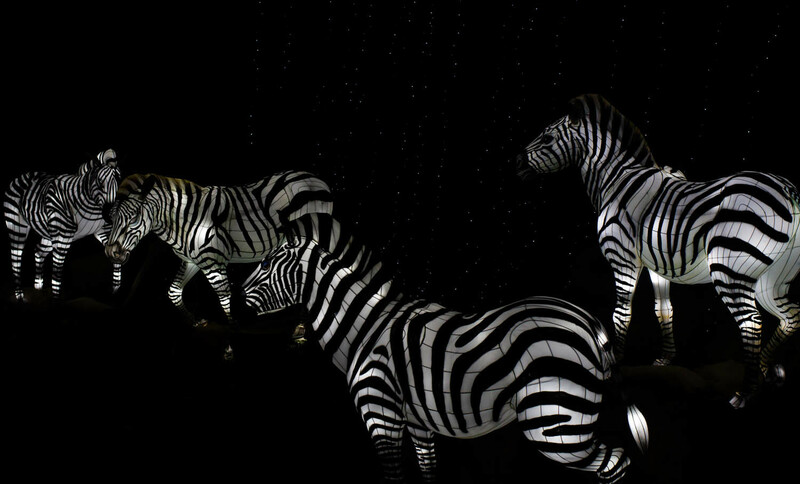 From the veins on the leaves of flowers to the expression on the zebra faces, so life like. And we spotted that some of them even move! 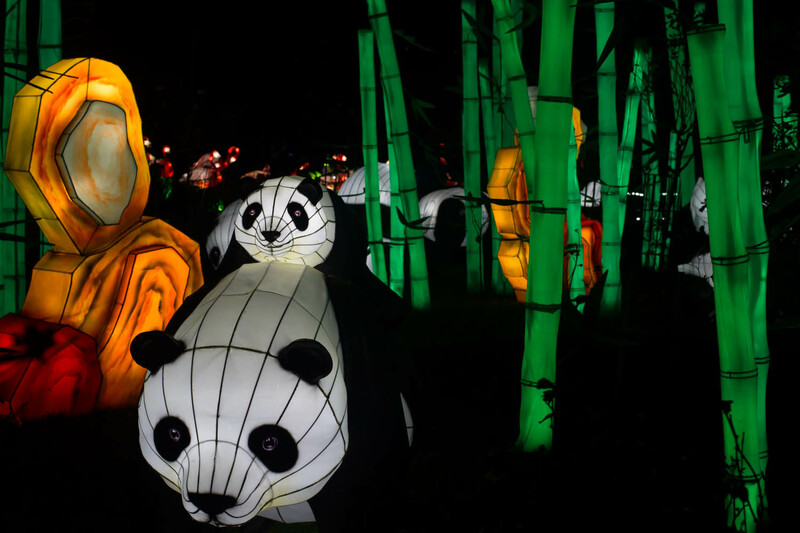 Edinburgh zoo is home to the UK’s only giant pandas, Tian Tian and Yang Guang, and they are originally from the Sichuan province, which is the birthplace of the Chinese lantern festivals. 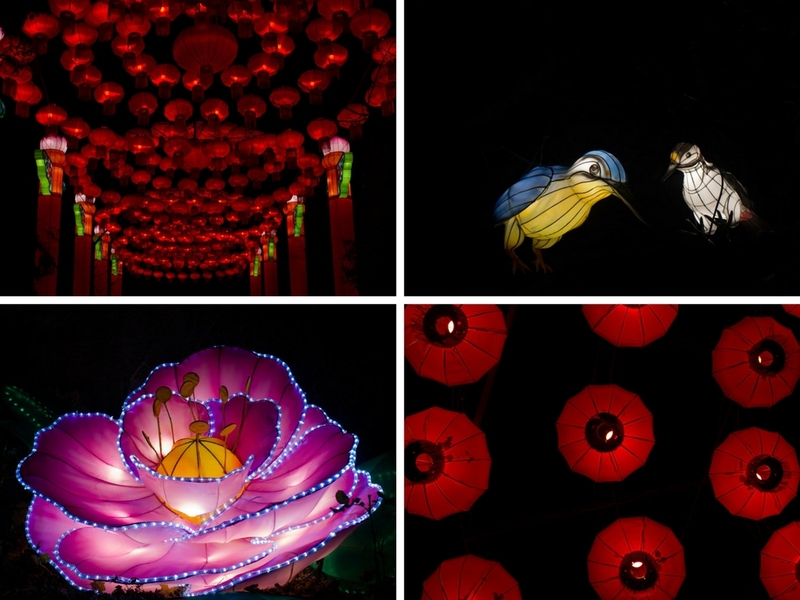 So it’s no surprise to learn that the 150 talented artists that have created the lanterns are also from Sichuan. 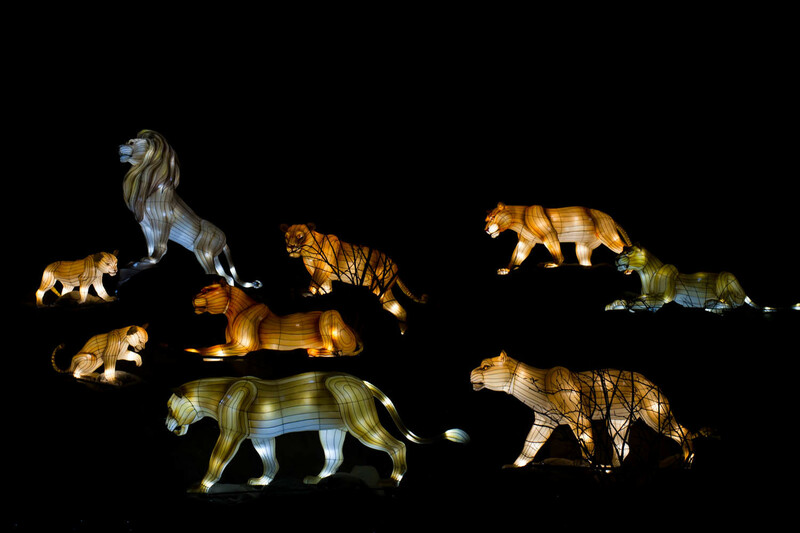 The 35 installation groups comprise of 211 animal lanterns and also include peach blossom trees, bamboo, rocks and flowers. 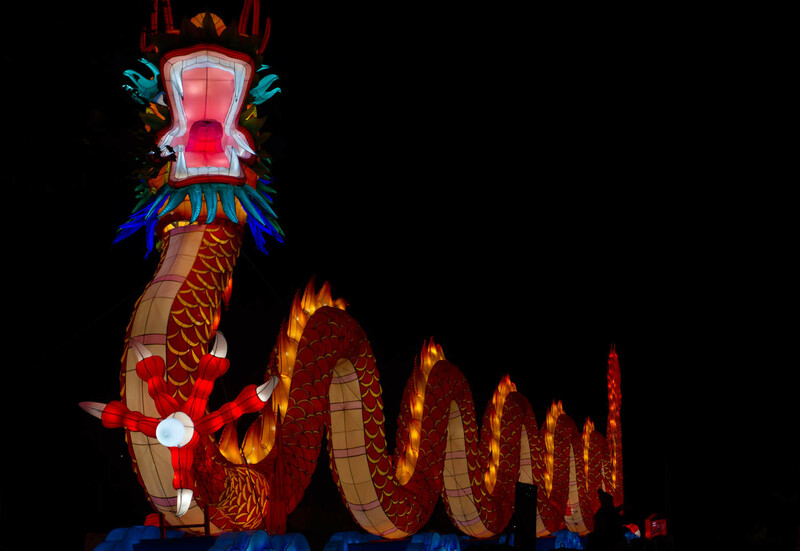 A 35 metre long dragon lantern, making it the longest lantern – this is impressive! 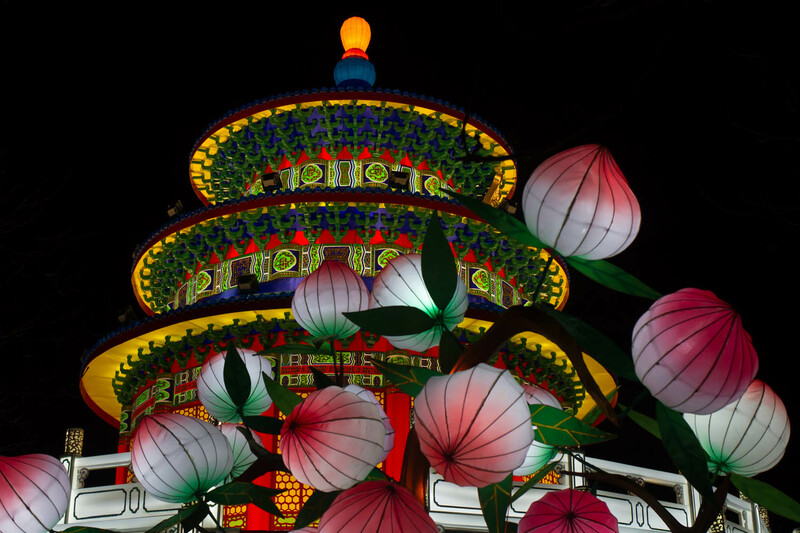 The tallest lantern is the Temple of Heaven and stands at 12 metres high! And the tiniest lantern is a kingfisher and is just 0.6 metres. If you think those are impressive numbers, here’s something even better. It took a colossal 25,000 hours of craftmanship to create the whole thing. I don’t know about you but I find that incredible. 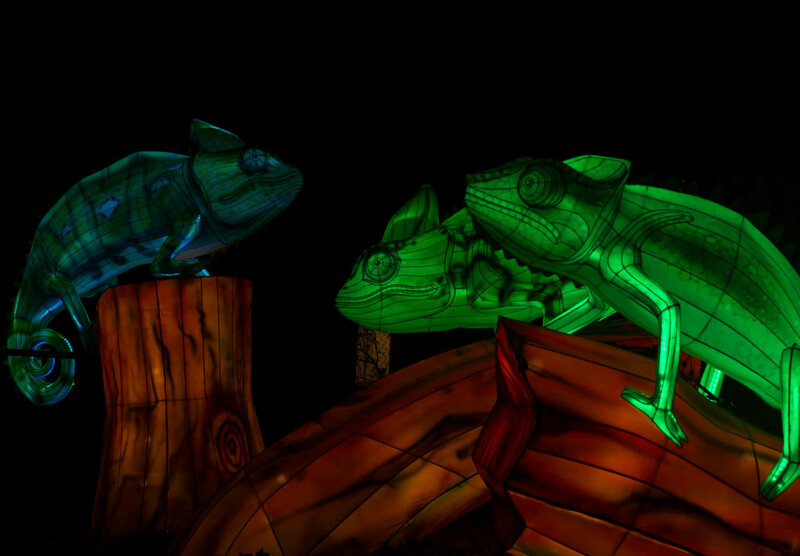 There is, of course, an underlying message to this enjoyable night out, one of environmental and animal conservation. During the day a visit to the zoo allows us to admire, learn about and watch the animals close up. An experience with some of the animals that very few people have encountered in the wild. 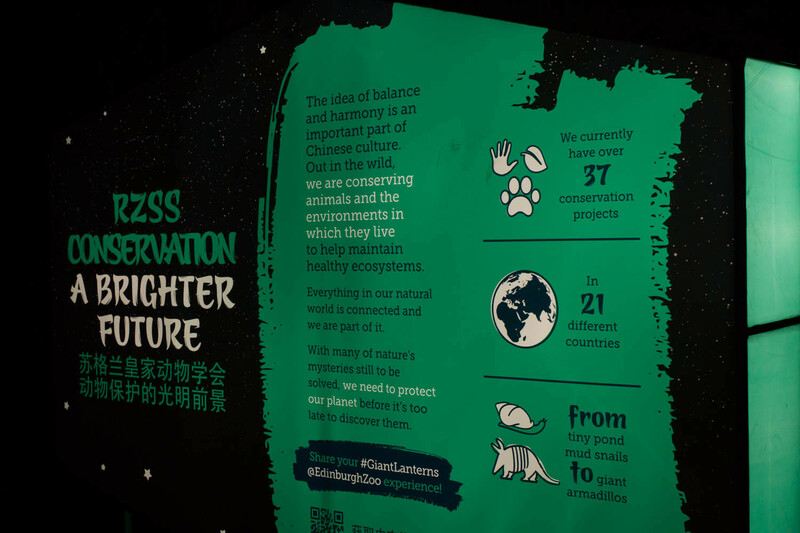 Even in the dark, the zoo has combined a unique experience with education and there is still the opportunity to learn about the featured animals and their habitat. 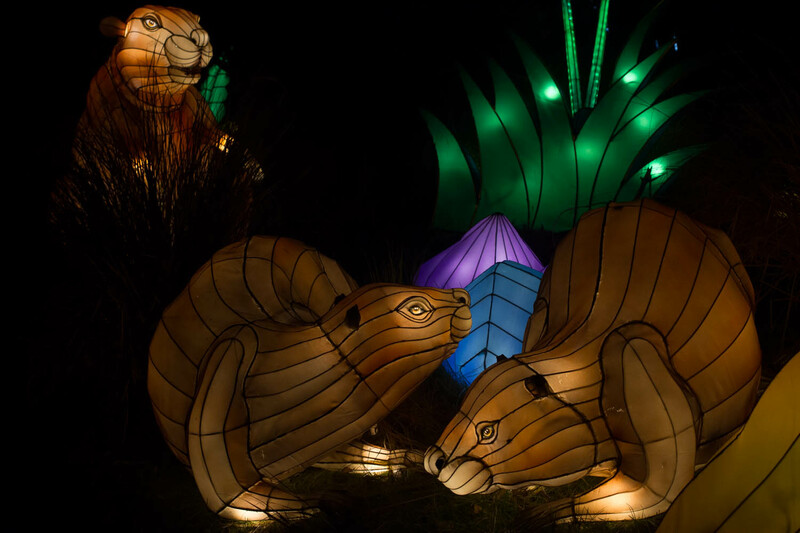 The relationship between Edinburgh Zoo & China have provided inspiration for the Giant Lanterns event and this is obvious across the trail, with 469 traditional lanterns on display. 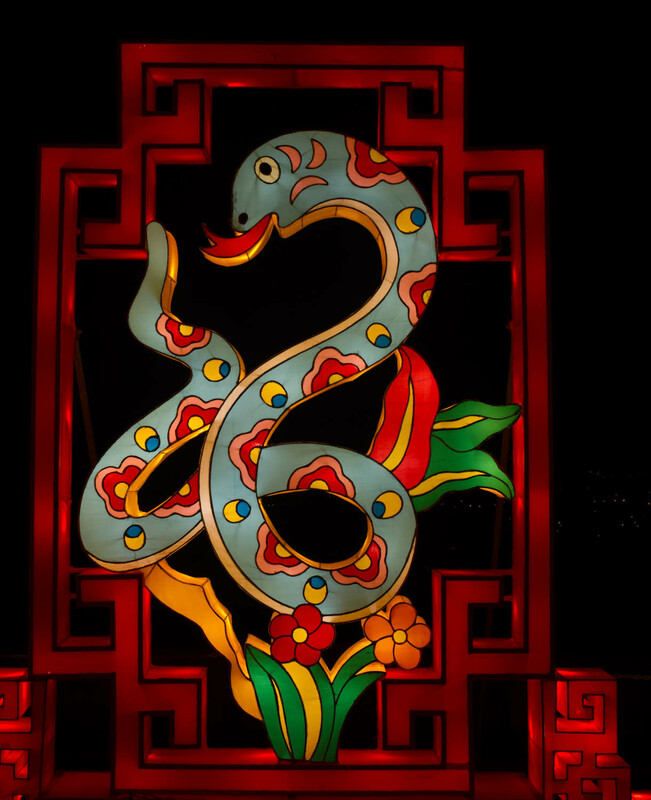 I also learnt my spirit animal is a snake, from the Chinese Zodiac signs on display. I was also dazzled by the beauty of the mythical Qilin (pronounced – Chee lin) – made up of a dragon’s head, horse’s body and deer’s horns. It is said to appear with the imminent passing or arrival of an illustrious ruler. 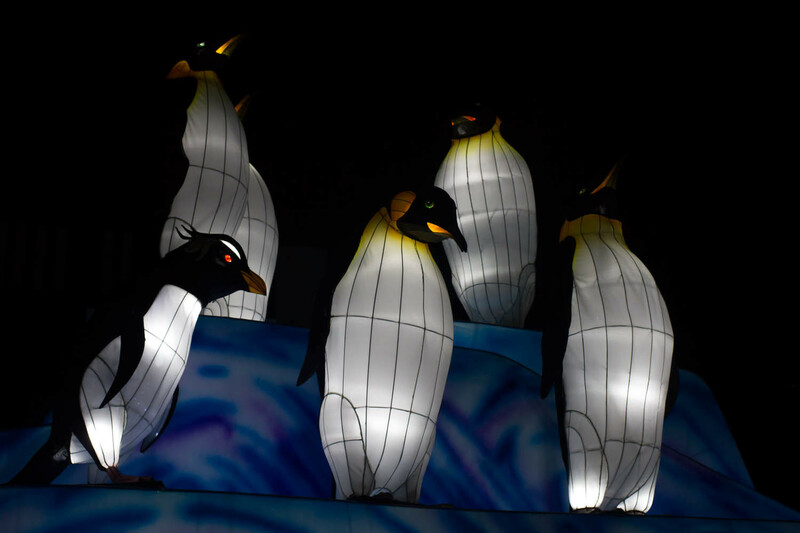 Unlike the other lanterns these were made from lots of recycled penicillin bottles with coloured liquid inside. Very clever. 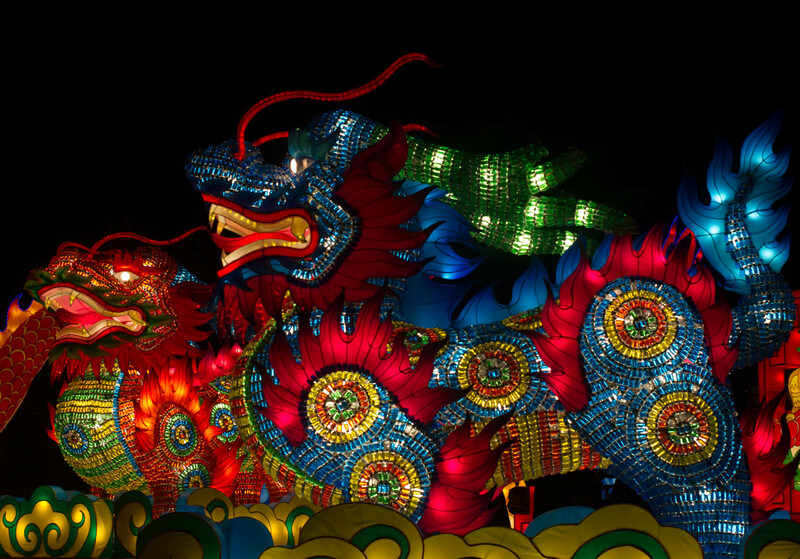 It was also very difficult not to have my breath taken away by the prodigious Chinese dragon. Pah! Just incredible and it’s head moved too…. If you look carefully at the image below you will spot the silhouette of a lady, just to give you an idea of how epic this really is. Chinese dragons are not like any other fire breathing dragons that I would normally think of. In Chinese culture these are friendly; bring good luck and happiness as well as being strong and powerful. 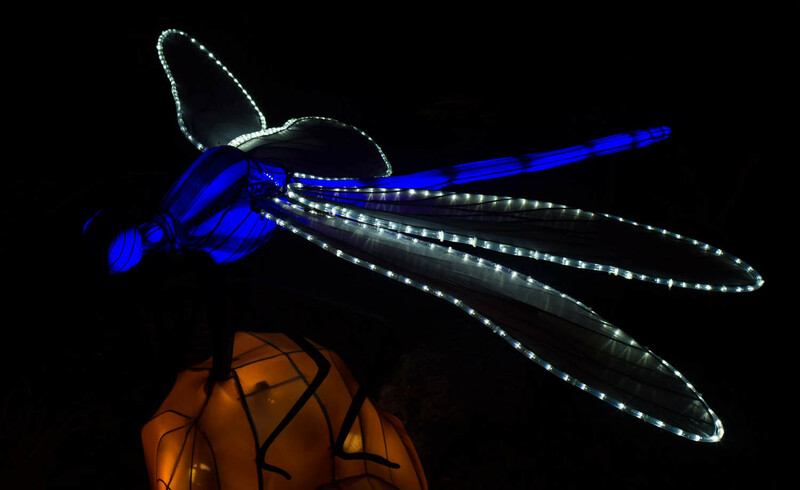 Of all the mythical creatures, they are the most celebrated. Alongside the light displays there were stalls and places to get a hot drink and some food too. We were lucky with the weather, it was cold and dry but just remember if you buy tickets you can’t book the weather! The zoo is on a hill and for the most part it is fairly dark, so I would suggest sensible shoes, along with layers (plenty of layers), gloves and indulging in a hot drink during the night too. Oh and don’t forget to charge your camera batteries or your phone, because you will take MILLIONS of photos. It makes for a fabulous family evening out or welcome escape from all things Christmas! 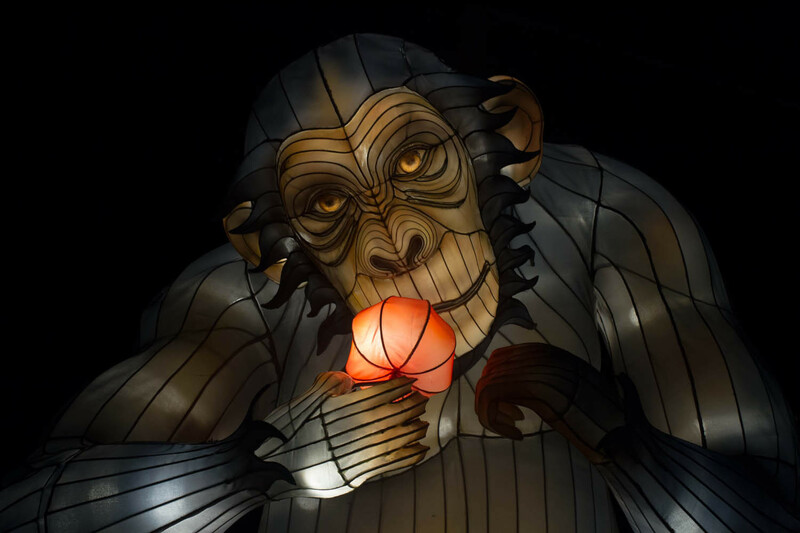 I thoroughly enjoyed seeing the Giant Lanterns at Edinburgh Zoo and I am already planning another trip for Chinese New Year (near my birthday). 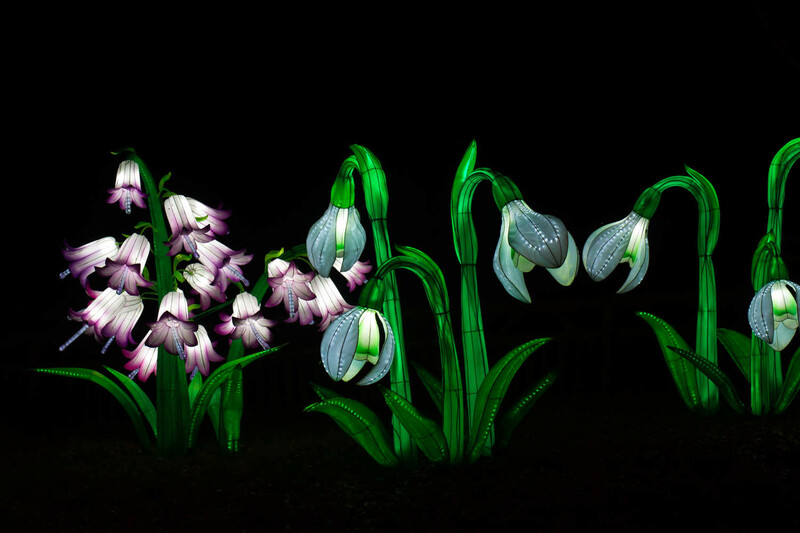 Well done to everyone involved in creating such a feast for the eyes. My camera loved it! I’m going to leave you with a heap more photos to look through and enjoy. I would like to thank Edinburgh Zoo for inviting me to enjoy this event free of charge in return for my blog and its photos. I would also like to thanks the hu-mum of Casper (of Wee White Dug fame) for joining me. It was nice to have someone with me who takes more photos than me! All thoughts, ooos and ahhhs are my own. Wow, this looks absolutely beautiful. We are going to something similar in Birmingham in a few weeks time, I do hope it is as impressive as this, it’s incredible! Gorgeous photos as always.